This unnamed jacket came to us by a fortuitous phone call out of the blue. 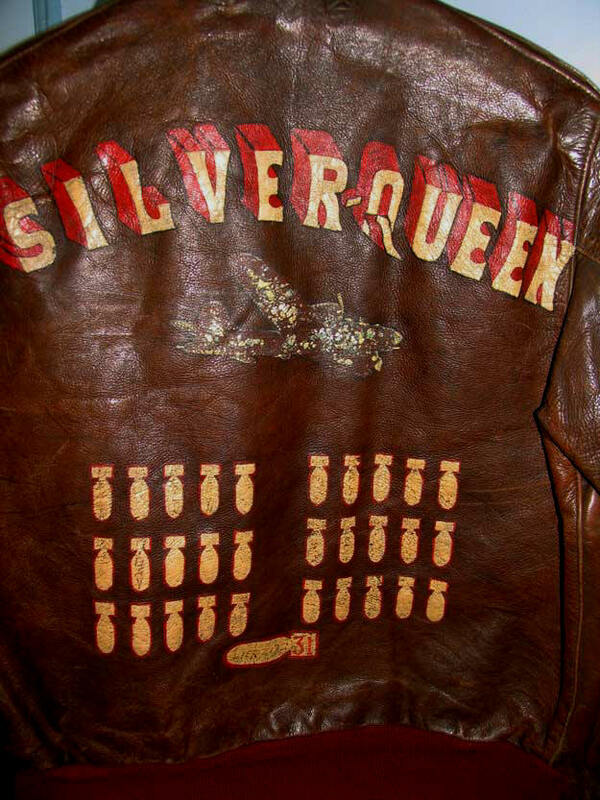 SILVER QUEEN was the B-17 in which the owner flew. 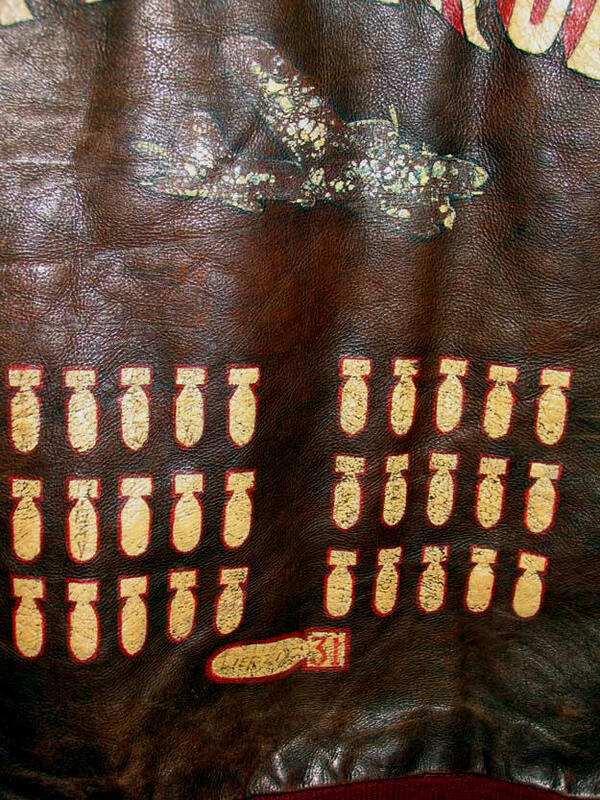 Missions, including D-Day, Berlin and final target Leipzig, are inked on each of the bombs below the inscription. 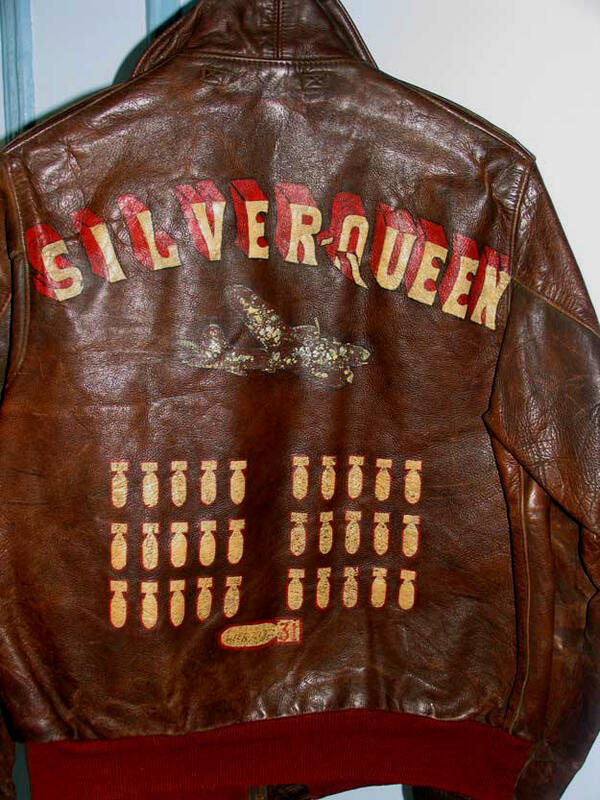 The 384th BG shield is painted directly onto the horsehide. Beautiful original condition. In one pocket is a torn edge of a check dated 1947! Presumably the owner returned home then, for the 384th had stayed in Europe following the war as part of the U.S. Air Forces in Europe contingent. 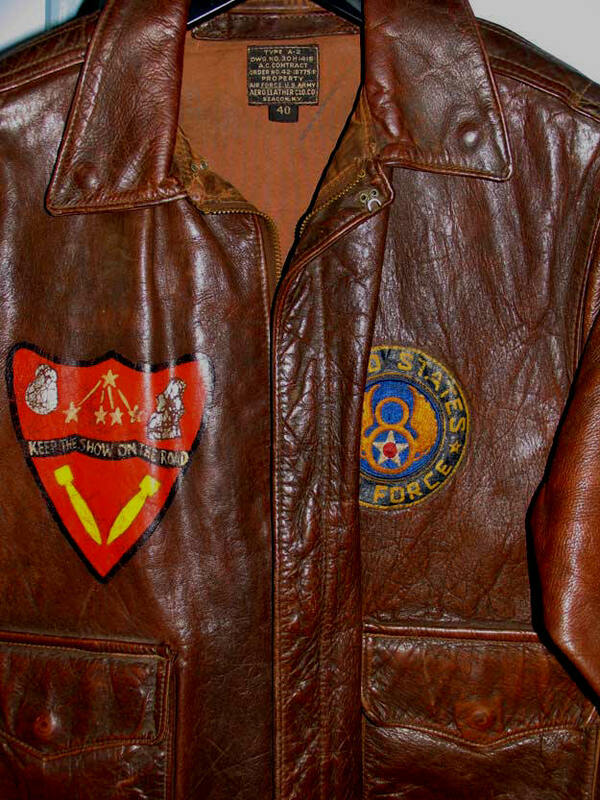 Hence the rare left chest patch prior to the inception of the USAF: a color screened oilcloth United States Air Force disk enclosing an embroidered 8th AF. 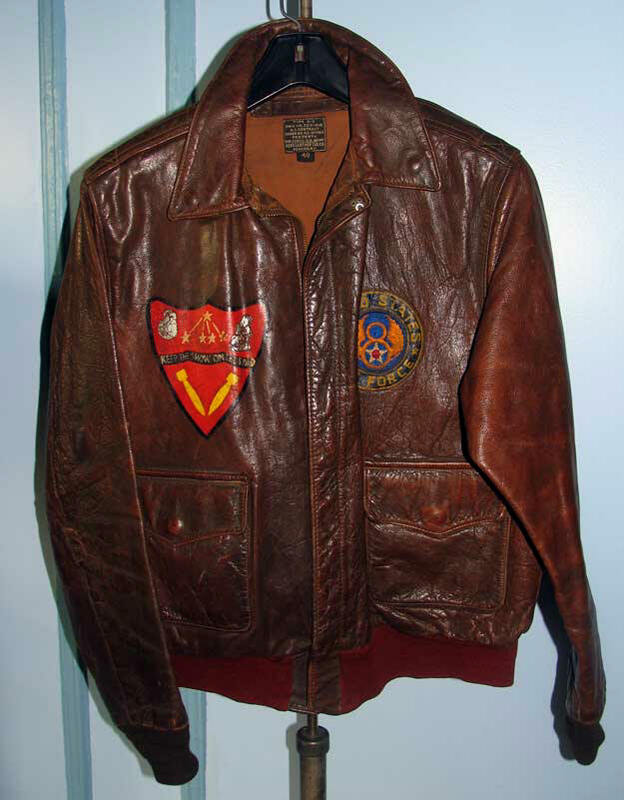 Jacket has mismatched cuffs and waistband colors -- this was, inexplicably, a common feature on jackets from Aero Leather, the largest WWII contractor and very occasionally found on those of other mfgs. as well. Note how the so-called seal brown coloring of the Horsehide actually exhibits strong reddish chestnut strains.